The latest freestyle from Split Prophets’ ‘Upfront MC’ courtesy of SIMZCITY TV. Iron Solomon took some time out from his hectic tour schedule to stop by Hip Hop Vancouver and drop this freestyle!!! Check out his debut album ‘Monster’ available on i-Tunes!!! After all of the requests SB.TV got to film Scroobius Pip, they finally hooked up with the man himself for this video. You may remember a few weeks ago we posted a couple tracks and an interview by 2 Dash Tone. Well now the man’s back with a full length EP to treat your ears with. 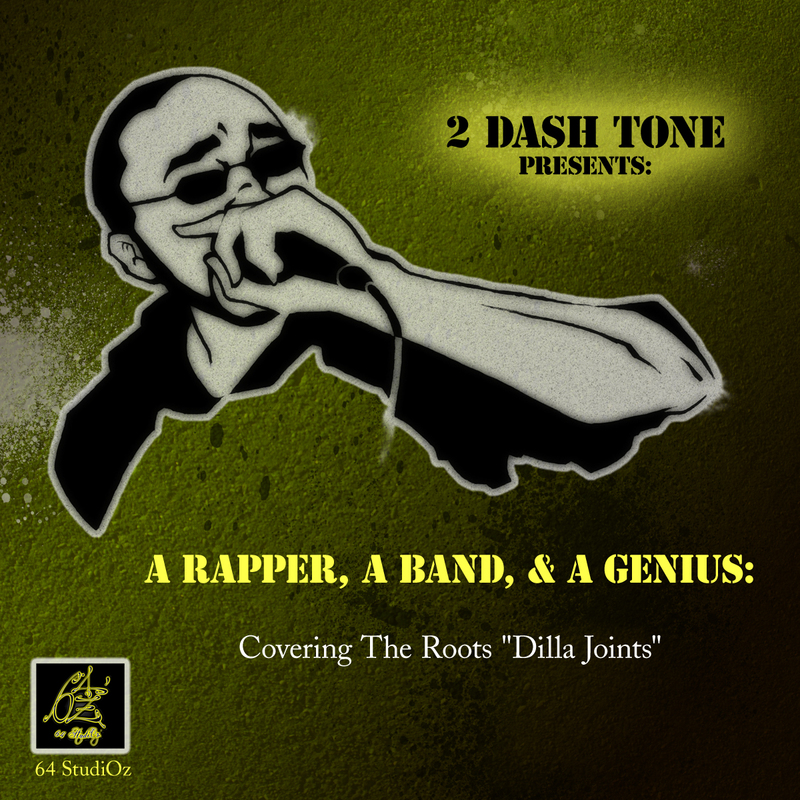 It’s a released inspired by Dash’s favourite producer and hip-hop group, J. Dilla and The Roots. Those are some big boots to fill, and he could have quite easily have come off as a biter, or at least in over his head. Yet 2 Dash Tone makes it his own, and once again comes through with killer flow and well versed content that he’s demonstrated on earlier releases. Even though the EP is only 6 songs longs, with an extended interlude if the release was dead on the ground it have easily dragged on. This isn’t the case at all, and I found myself thinking ‘shiiiit where’s the rest’. The trick is to always leave you wanting more and not to out stay your welcome, and Dash manages to pull this off really well. The instrumentation and production is of course as good as you’d expect, since this is a cover joint of sorts, filled with Dillah and Roots beats. I like the overall vibe of the EP, it’s smart, catchy and a generally positive release. If you fancy having a cheeky listen and getting the EP for the grand total of nada coins then hop over to the man’s bandcamp and check out for yourself what all the fuss is about. Reccomended If You Like: J. Dillah, The Roots, Trek Life. MCM (Caveman) – GOSPEL REPRISE EP – A complimentary digital release showcasing more unreleased material by the UK veteran rapper. The ep includes complete versions of ‘Farther Forgive’ (produced by DJ Nappa) and ‘Live in Stereo’ feat. TY. NEW Saigon video. In this song Saigon breaks down how women have replaced men with being the more grimey, deceiving, manipulative of the 2 sexes…. Do women cheat more than men??? Do you agree with this song or not?